Amrish Puri was one of the most talented artists in the Indian film industry, who will always be remembered for playing some of the best negative characters in the industry, in addition to portraying some brilliant character roles. His strong voice and expressive face were his greatest assets, which took him to the heights of popularity, but the film industry bore a huge loss with his untimely demise in 2005. Income Sources: Amrish Puri amassed a huge wealth with his glorious career in Bollywood, spanning from 1970 till his death in 2005, during which he portrayed a plethora of characters to perfection. Marital Status: Married to Urmila Divekar since 1957. He is survived by son, Rajiv and daughter, Namrata. 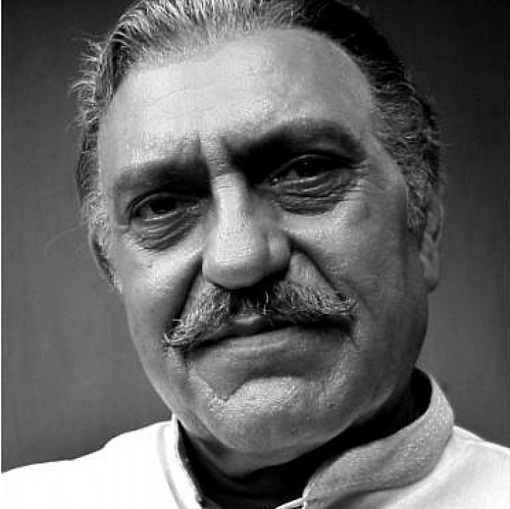 Amrish Puri was born in a Punjabi family in Lahore in pre-partition Pakistan, to father Nihal Singh Puri and mother Ved Kaur. His brothers Madan Puri and Chaman Lal Puri were noted actors and he wanted to follow their footsteps, but was denied a place in the Hindi film industry. But he never gave up and continued chasing his dreams without fail. Finally, he got an entry into Bollywood at the late age of 40 years, but there were no regrets as he was able to become one of the most popular villains the Indian film industry ever had, and even made a name for himself at the global level. Amrish Puri died tragically due to cerebral hemorrhage at the age of 72 years, but continues to live in millions of hearts. The young actors of today have much to learn from this great actor, who was also a human being par excellence. Surprisingly, this talented actor was not able to clear his first screen test and took up a job in Employees State Insurance Federation to make a living. He continues with his passion of acting and became a regular stage artist at Prithvi Theater, for which he was acclaimed with the Sangeet Natak Akademi Award in 1979. He made his Bollywood debut with “Prem Pujari” in 1970 and later performed in more than 400 movies in various languages, including Hindi, Punjabi, Marathi, Tamil, Telugu, Kannada and English. His most acclaimed roles came in “Mr India”, “Karan Arjun”, “Viraasat”, “DDLJ” and “Meri Jung”. No one can forget the brilliant portrayal of the ultimate villain Mogambo in “Mr India”. His negative role of Mola Ram in the Steven Spielberg Hollywood epic, “Indiana Jones and Temple of Doom” (1984) is equally unforgettable. Amrish Puri could play negative, comic and emotional roles with equal ease, such was the range of this versatile actor. His heavy voice and dashing personality made him stand out in crowds. He was honored with a number of national and international awards during his illustrious career, besides being nominated for awards on several occasions. Amrish Puri is like a shining star, who will continue to shimmer on the horizon of Indian cinema forever and ever.